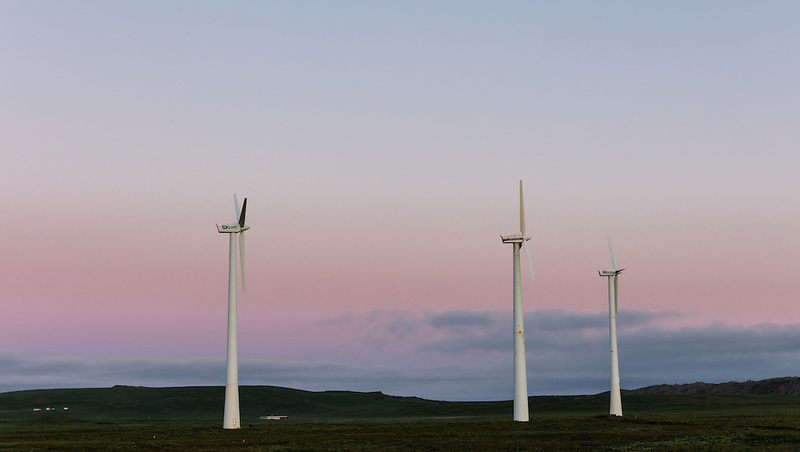 Sunrise on wind turbines on St. Paul Island in Southwest Alaska. Summer. Morning.